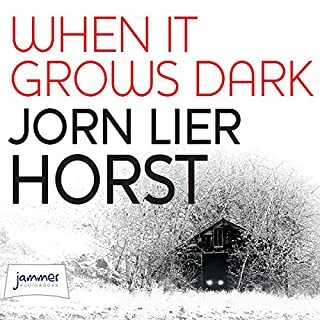 In the middle of a hard-won morning nap in the basement of police headquarters, Carl Mørck, head of Department Q, receives a call from a colleague working on the Danish island of Bornholm. Carl is dismissive at first, but then he receives some shocking news. Carl then has no choice but to lead Department Q into the tragic cold case of a vivacious 17-year-old girl who vanished from school, only to be found dead hanging high up in a tree. 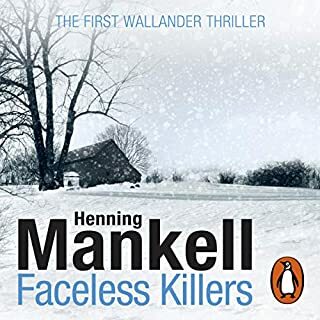 The investigation will take them from the remote island of Bornholm to a hidden cult, where Carl and his assistants must stop a string of new murders by a skilled manipulator who refuses to let anything - or anyone - get in the way. 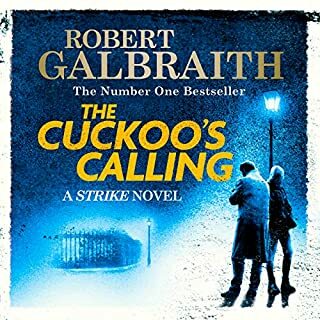 I love the department Q books but for me, this book was seriously let down by the choice of narrator. 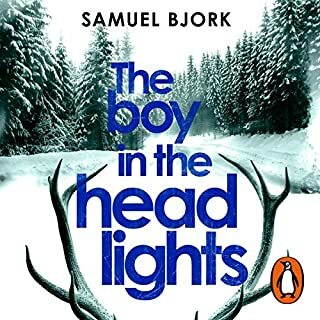 Don't know why Jussi has gone with a different narrator from the previous books but not a good choice. I won't be listening to any future department Q books if Graeme Malcolm is going to be the narrator. Bring back Steven Pacey. 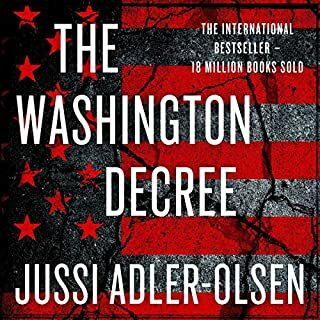 As a long-standing fan of Olsen’s excellent Department Q series I was delighted to find another one had been released on Audible. 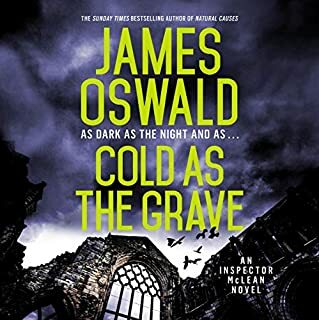 While this one is still very good quality crime fiction there have been some changes of direction which have changed the experience significantly from the earlier books. 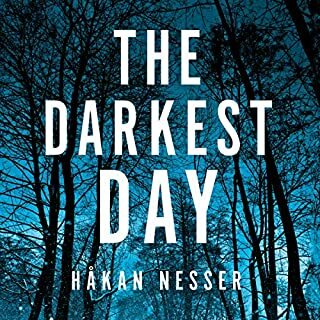 Previously Olsen did a fabulous job of mixing the back stories of his characters with a gripping crime story leading to a delicious mix of dark humour and tension-building drama. In this volume Olsen has almost pruned much of the wider character interaction out and trimmed the cast with previously significant characters like his gay lodgers almost removed from the stories. While there are still plenty of Assadisms the characters seem much steadier, less stressed and in turn, sorry to say it just a touch duller. With this story Olsen has taken just a touch more of the Dan Brown style as the investigators get involved with a Sun God Cult. The story itself has a lot of depth, some intriguing developments and an excellent twist at the end which is tied into a very dramatic and indeed satisfying conclusion. That said, I don’t think it builds the tension in the same way as most of the previous stories. It does deliver as a crime story should, just in a more steady fashion. Finally though, the change in narrator. 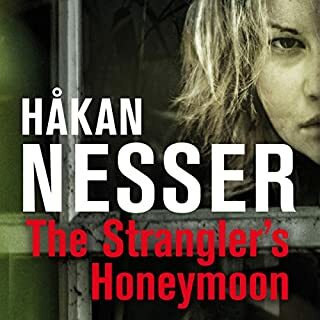 It may be that with his change of character and story direction Olsen or his publishers felt a new narrator was in order. To me this just magnified what was missing. 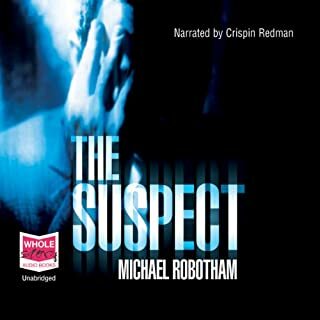 Pacey and Department Q were an excellent combination, he was able to deliver the stress, tension, chaos and humour of the earlier books with aplomb and genuinely added to the production mix. Graeme Malcolm operates at pretty much one pace and one tone. 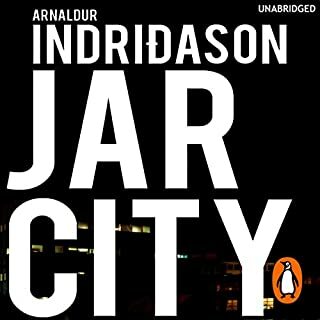 I can imagine him doing some books quite well but following on from Pacey his style jars and his delivery drags the whole experience down. 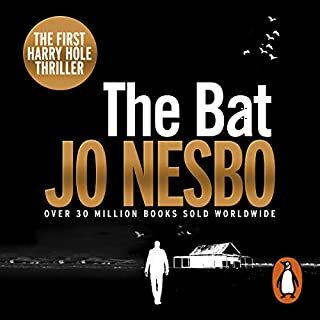 In all this is a quality piece of crime fiction with enough clever nuances, twists and turns to make it a worthwhile purchase. It also gives us a character cliffhanger to entice us into the next book of the series. However, in comparison with previous books in the series it falls down in ways that are significant and simply doesn’t fully deliver what we’ve come to expect from Department Q. 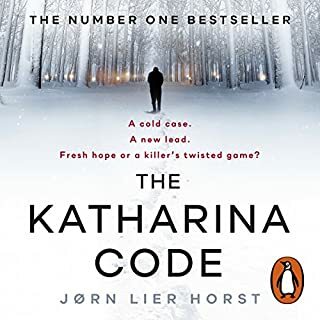 For me personally this instalment has moved the series from “Must Buy” to “Worth considering”, especially if they persevere with the same narrator. Bring back Steven Pacey as the narrator! WHY O WHY CHANGE NARRATOR! Why..... Just why did anyone listen to this guy and think Ahhh he'll follow nicely in Steven Paceys footsteps????? Ruined absolutely ruined by the narrator (who sounds better suited to children's books) GUTTED!!! Why the change of narrator!! 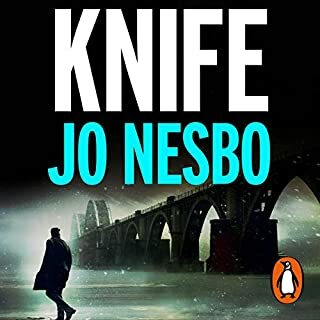 I discovered the Department Q books quite early on in my Audible experience and they've been a kind of baseline of excellence. Great stories, interesting characters and a narrator that really enhanced the experience. Why then, was the narrator changed at this stage in the series! I tried really hard to be open minded about Graeme Malcolm performance but it really spoiled the book for me. His voice has a really strange way of ending sentences that really jarred with me. Such a shame, because it's another very good story with lots of twists and turns. The book is very good, I love the 3 main characters. 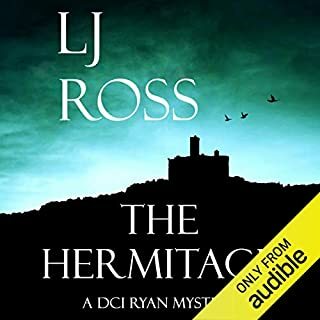 Too hard to listen, too monotone for me and the difference between the characters so slight I didn't know who was saying what at times Didn't have the same pleasure of listening to the story as I had with the others, and never laughed aloud like before. But as the book is good and I love the previous books I endured. Please choose better narrator next time. What would have made The Hanging Girl better? Normally love Department Q. Bought it without checking the narrator. Did not recognize any of the characters I have grown to love. 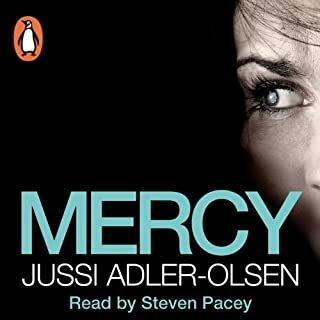 What was most disappointing about Jussi Adler-Olsen’s story? The story was Ok it was changing the narrator that ruined the story. Steven Pacy, where are you? 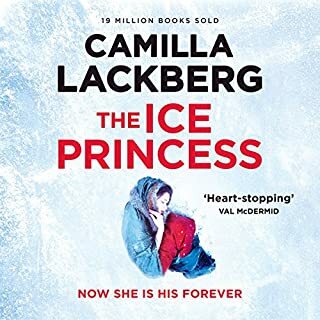 One of my favourite authors, this book did not disappoint...except, although Graeme Malcom gave a perfectly acceptable reading, and had I not heard the previous books in the series read by Steven Pacy, I would have had no particular criticism, but this is a perfect example of how important the reader of an audio book is. Steven Pacy manages superbly to bring out the humour (and even though the stories are quite grim, there is a lot of wry humour in them). Malcom's reading is colourless in comparison. What did you like best about The Hanging Girl? What did you like least? 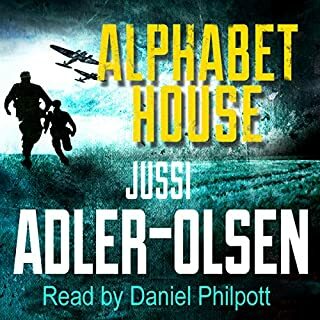 If you’ve listened to books by Jussi Adler-Olsen before, how does this one compare? Story isn't as good and I kept losing track of where I was due to the narrators voice. It doesn't keep you gripped like previous books in the Department Q series. Wasn't Steven Pacey - who was brilliant at the voices and the general story telling. Could you see The Hanging Girl being made into a movie or a TV series? Who would the stars be? No I couldn't. 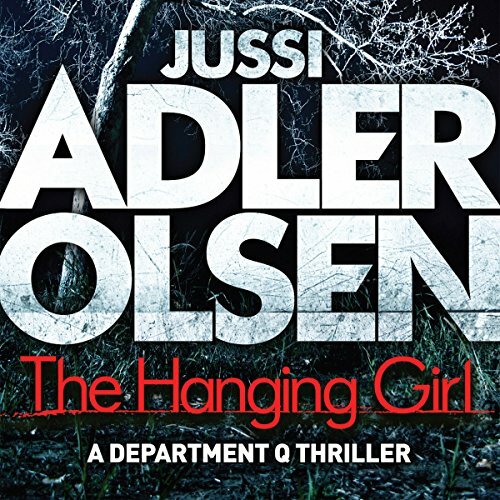 I could imagine other books by Jussi Adler-Olsen working as movie. The story was as good as the previous ones but the narration was really not good. Why did they choose this guy over the previous narrator? He has no skill with accents, his default accent is a Jewish/South African that does not suit Swedes, Danes or Norwegians. His interpretation of Assad was poor and lacked the mixture of naivety/common sense that was such a strength of the previous narrator. Whoever chose this guy should hang their head. Won't buy any more if this guy narrates again. What did you love best about The Hanging Girl? What three words best describe Graeme Malcolm’s voice? I don't understand this fuss about the change in narrator. I'm a big fan of the series (i purchased every title so far) and thought that Graeme Malcolm did a good job. Admittedly I was a little hesitant as i enjoyed Steven Pacey so much, but the story was so good that I didn't miss him after the first chapter. I really don't care who the narrator is there is no way I'd miss a single installment of this fantastic series!